photowannabe: ABC WEDNESDAY LETTER " A "
ABC WEDNESDAY LETTER " A "
Well, here we are again for another round of ABC Wednesday. I accept the challenge of finding new pictures for a letter of the alphabet every week. The first photo is The Big Apple. That's the name for the awesome city of New York. Here is another Big Apple. No Awards for my photos at a local photo contest. All I got was affirmations from my husband and friends for my artistic efforts. To see what others have posted for the letter A go to Mrs. Nesbitts link on my sidebar. Why not join in yourselves? As always, enlarging the pictures will show the detail more clearly. Great shots for the day! And I love your photos -- always! And I do love the Big Apple -- both of them! Have a great week! The Big Apple is such a memorable title. And your edible apples look delicious. A was always for Apple in the alphabet books when I was a child and we never dreamt then it could mean anything other than the fruit. An artistic apple - appreciated! Arg. I cannot believe you won no award. Cannot believe it. Hard not to love an apple, either type! I would love to visit the The Big Apple someday. Thanks for sharing! Well, I for one think you deserve an award for those beautiful photographs! I just scrolled down to see your posts on Haiti--these photos are remarkable and heartbreaking at the same time knowing the devastation that this country has suffered. Let's hope that all the snafus in the efforts for relief get resolved quickly. Nice shots....would love to visit the Big Apple some day! You get affirmations from me for your great photography! Your beautiful photos are always A-1 to me... Amazing! Love the New York scene. Did you know that the "Little Apple" is located in Kansas? ur paintings were nice :) n so was ds post ! I love your picture of NW, though I'm sure I couldn't live in such a big city. If I was the judge you totally would have gotten an award : ). I have never had a winner picture at I Heart Faces if it makes you feel better. I lose every week! Sue, The Big Apple photo would make a great "yellow" statement too - with all those taxis! Great photos - affirmations are important! They look award-winning to me. Oh, and i lived in the Big Apple, albeit for a short time. FYI- I'm part of ABC Wednesday Team this go-round. Love the big apple photo and the yellow taxis. There is a late night radio slot here with the Gabby Cabby from New York so although I've never visited I know a lot of about it, LOL. Best of luck next time with your pictures. The Big Apple, of course! Great sets of photos. Great picture of NYC from that vantage point!I think your photos are award winning. So glad you posted those beautiful photos of Haiti. I love the perspective of the Big Apple! And, some little apples for snacking are a fun contrast...great post! I also did the big apple-quite a view you have captured! Great A's. All of them! Great A post! NY is a enticing city... Congratulations for your photos on exhibition, they look great! A wonderful post and a great view of the big apple. I'm now part of ABC Wednesday Team. It's always good to see a New York scene. Your photos would get an award from me, any day! Great photos! You will get awards tho for your photos, I have no doubt! 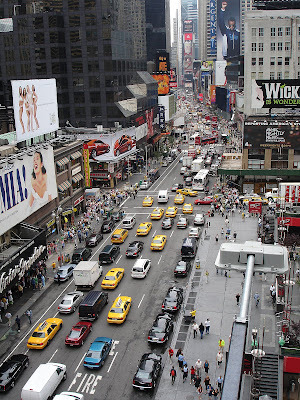 I love the photo of the Big Apple's hustle and bustle. No award?! At least your family showed proper appreciation. Great post! I like your photos, even if you didn't win an award! What a great view you had of a New York street. Enjoyed your A's! Wonderful photos! I love them all but the first photo is amazing and those red apples on the second photo look so delicious. I'm sorry you didn't win any awards, but we like your photos! This weather has played havoc with my computer. I was sure I had left you a message last night, but can't find it today. You know, dear, you are the reason I'm doing ABC Wednesday. Love your other pictures of the faces, and I scrolled up and down your posts. Looking forward to another round with you on board! 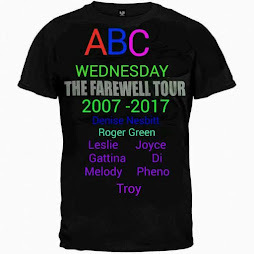 Great post as ever, I love hunting subjects down for ABC Wednesday! Sometimes, affirmations from people who matter to us are better than awards. I love your pics, you have an eye for beauty.